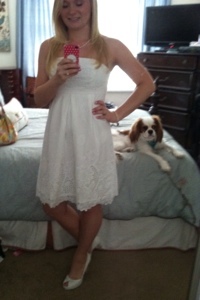 Riley, the wedding dress, and I are South Carolina bound. I'll be home home until Tuesday. 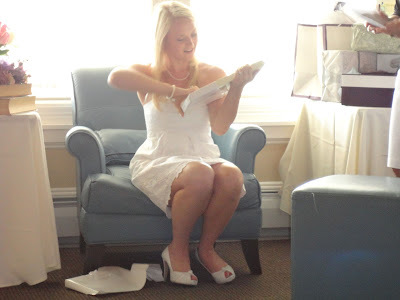 I'm planning to spend time catching up with my friends and family, attending my final bridal shower, taking my Bridal portraits, tying up some loose ends for the wedding, and just enjoying some Southern hospitality. Riley is looking forward to seeing grass, chasing squirrels, and peeing wherever he wants. Getting there. And of course getting back on Tuesday. But in the meantime, I'm just excited to see my friends and family tonight! 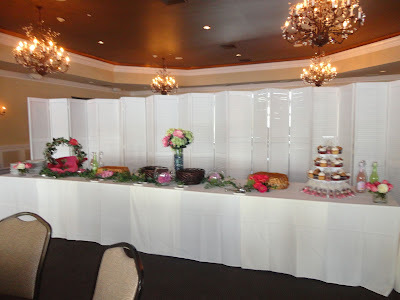 Bridal Talk Tuesday - My Second Bridal Shower! Happy Bridal Talk Tuesday girls! Today is my first official day of summer. I can't believe the school year is over but boy am I glad to be able to focus all my energy on the wedding! 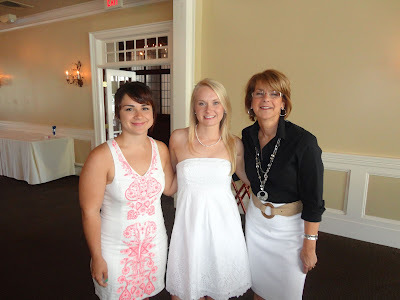 On Sunday, my future mother in law and future sister in law hosted my "New Jersey" Bridal Shower, for all the wedding guests who were local. My future mother in law is quite the party planner and it was a fabulous shower. I feel so blessed that they organized it for Corey and me. Me with the lovely shower hostesses! The shower was held at the social club in the town where Corey's parents' live. The room has a veranda that overlooks the lake, which was so pretty. The weather was perfect. Guests were greeted and offered champagne cocktails and sangria and we all mingled outside. There were many women I had never met who have been friends with Corey's family for years so this was such a great opportunity for me to get to know them a little. 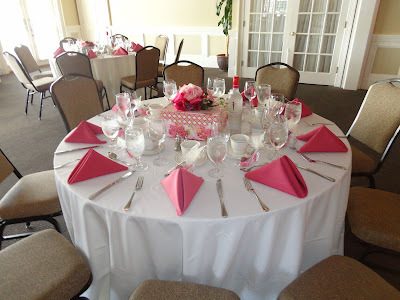 The tables were so pretty. A close up of the centerpieces. 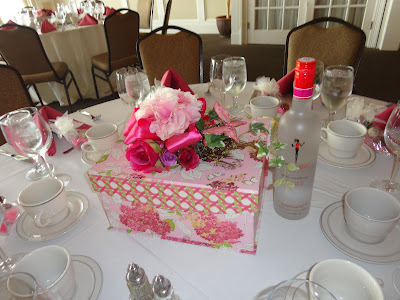 There were shower games at the end where guests were able to win a bottle of Skinnygirl cosmo. Unfortunately, I snapped the first picture in a hurry so its a little blurry but this is the food set up. 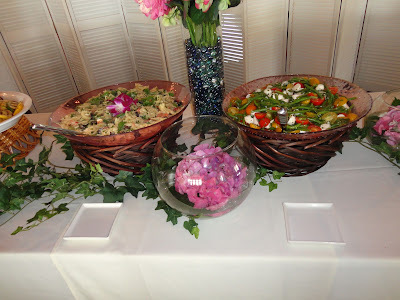 We had delicious grilled vegetables, fresh baked rolls, pasta salad, greenbeans with tomatoes and fresh mozarella in a balsamic sauce, and a coronation salad. This salad is famous because the queen of England likes it and it contains grilled chicken, shrimp, avocado, and pineapple atop a bed of greens. It was delicious! 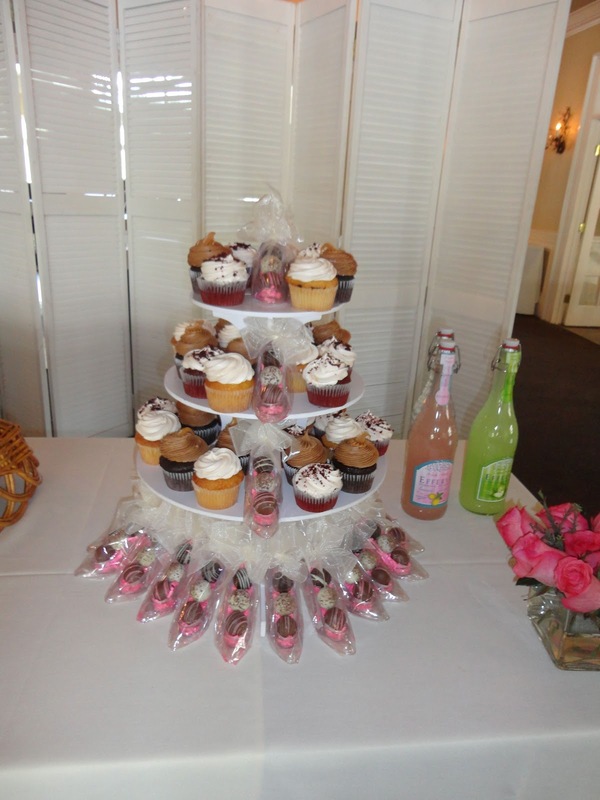 Of course there were cupcakes! 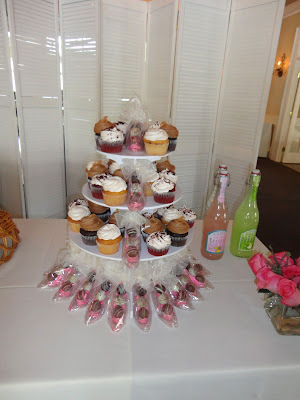 And the favors with little pink shoes with chocolates in them. Some of the ladies and me! Corey and I are so grateful. The guests were so generous! All the bows were stapled to a sun hat! I snapped an OOTD picture before I left home. 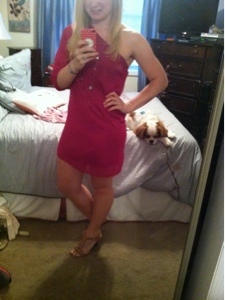 The dress is Lilly and I snagged it super inexpensively on Rue La La a couple weeks ago! 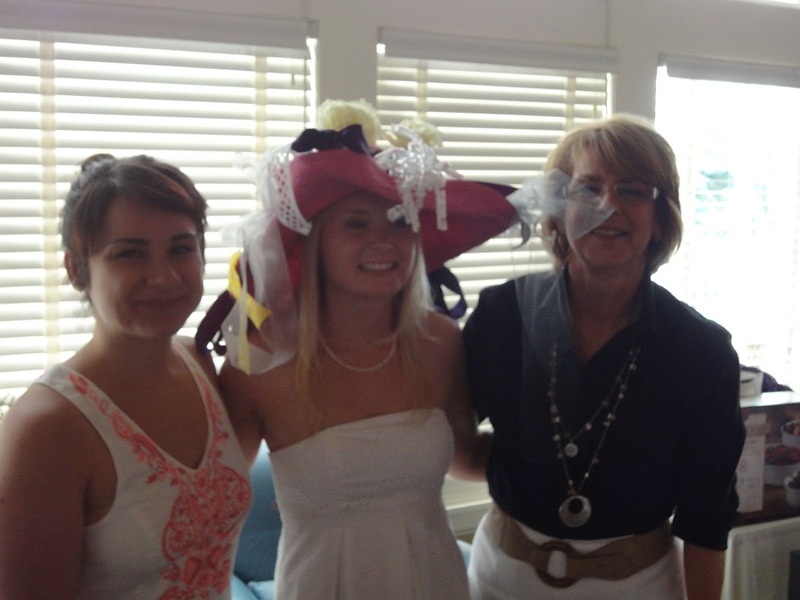 Thank you so much to Nancy and Kate, the wonderful hostesses! You are amazing! Happy Friday ladies! I always feel better when I start my weekend with a brain dump of miscellaneous confessions. I confess... that I've been too hot and exhausted to do anything this week....literally. Our school doesn't have air conditioning so by the time I get home every day I'm sticky and grumpy and exhausted. 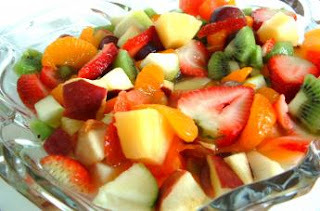 I have four half finished blog posts in the queue and I'm completely off my gym schedule, which I think is actually ok since its too hot to eat anything but fresh fruit and salads. I confess...that when the state mandatorily evacuated our building yesterday when the temperatures reached 100 degrees inside, I did a little happy dance. I was able to go home an hour early and took the coldest shower of my life and a long nap. I confess...that as glad I am that the school year is officially over on Monday, I'm going to miss my kiddos. They were so super cute at their Kindergarten graduation yesterday. I am so proud of them. I confess..that I feel a little guilty that I've been so slack with my teaching blog. I'm going to try to update it over the summer while everything is still fresh in my mind. I definitely don't want to forget my first year in innercity Newark. I confess...that I'm looking forward to a cocktail (or several) tonight. 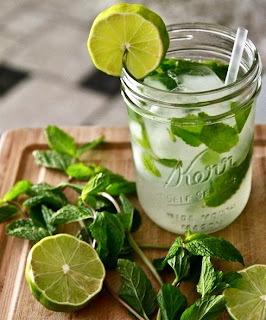 I had the best skinny mojito last weekend. I'm definitely wanting another of those tonight. 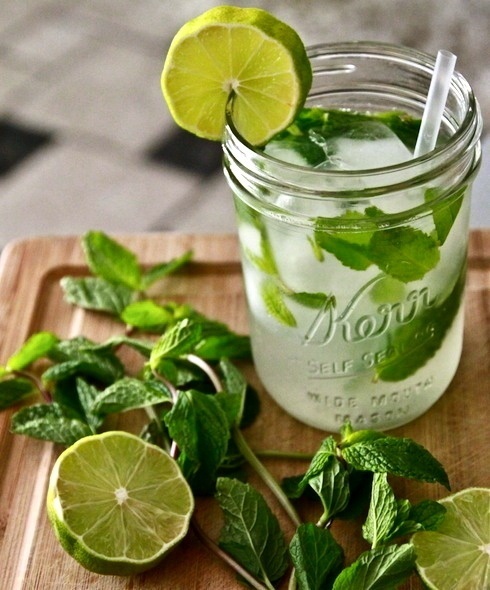 Aren't mojitos just the best on hot summer nights? I confess...that my car is a mess from cleaning out my classroom with all of the end of the year stuff. And I do not want to clean it. Its really difficult to keep it clean and organized since we park it in the garage under our building and it is valet. I have to get with the program on this, though, since I'm driving home to South Carolina next Thursday. 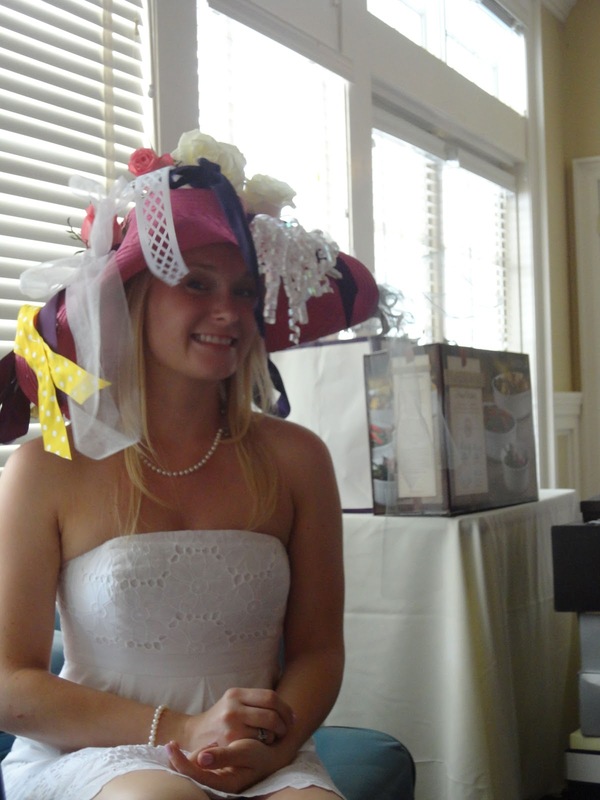 I confess...that I'm super excited about my second Bridal Shower on Sunday. This is my shower for my New Jersey friends and future family. 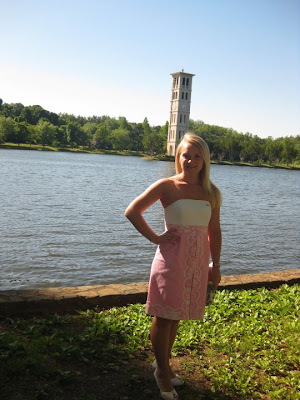 I have another Lilly dress to wear from when Lilly was recently on Rue La La. If you missed the sale because you're not a member, click the button on the sidebar to get your invite. You don't want to miss out! Happy Friday Lovelies! What are your confessions? 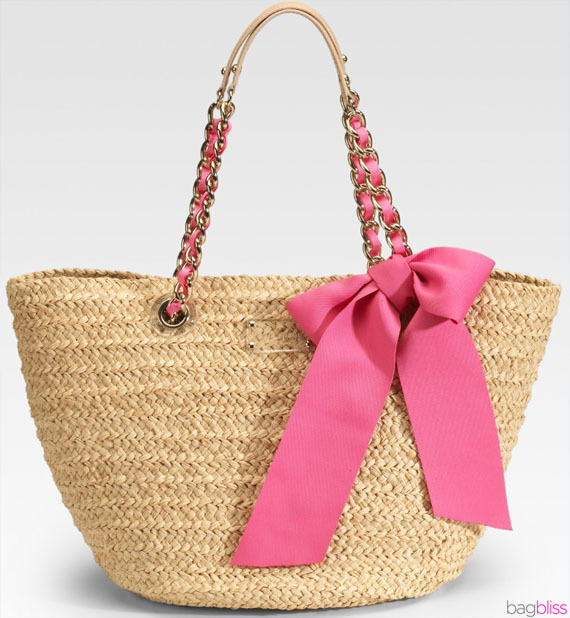 What am I carrying in my beach bag this summer? 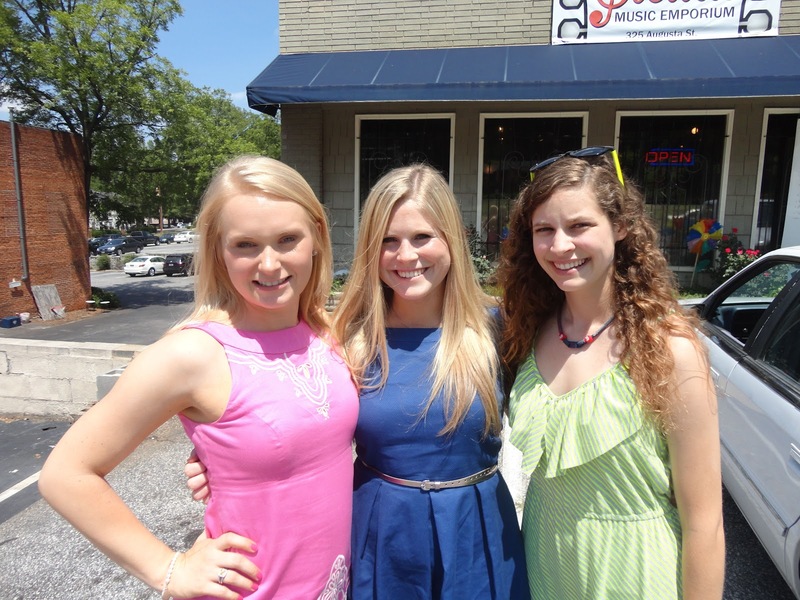 You'll have to hop over to Sweet, Pink, and Preppy to find out! 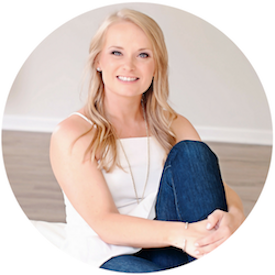 I'm doing a guest post for Katie while she's on her honeymoon in Turks and Caicos with her brand new husband, Chris. Bridal Talk Tuesday - First bridal shower recap! 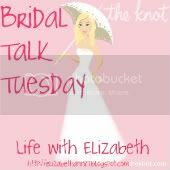 Happy Bridal Talk Tuesday ladies! So sorry I'm posting late today - I forgot to schedule when I was drafting last night. 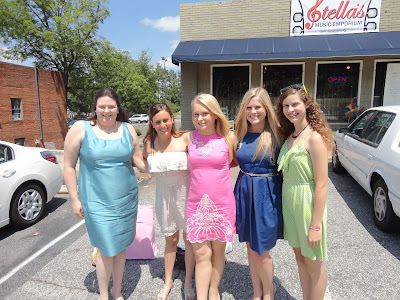 I had a fabulous weekend in Greenville, South Carolina with some of my besties from college at my first bridal shower. 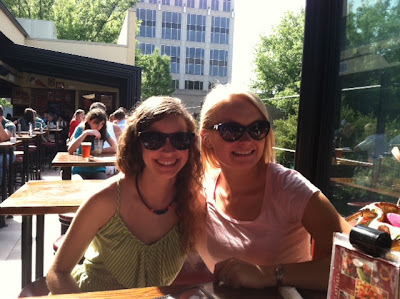 I got into Greenville late Friday night and met up with my cousin, who was my hotel buddy for the weekend. 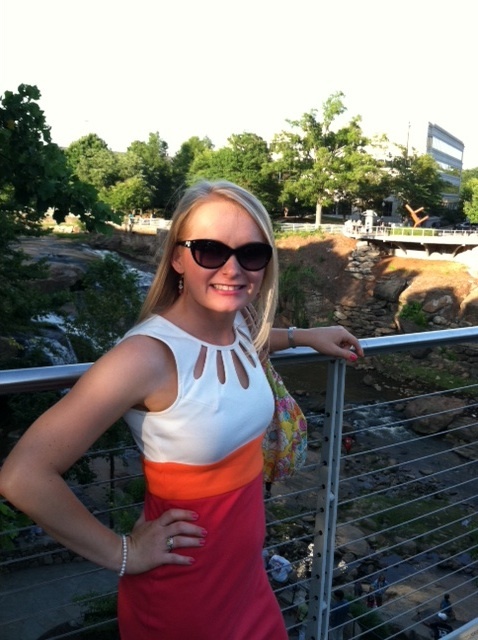 I loved being back in Greenville if only for 48 hours - it is where I went to college and it really feels like "home." 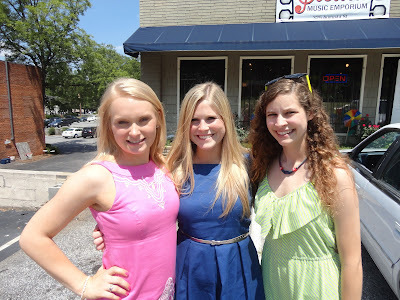 Saturday morning, we walked the streets of downtown to check out the farmer's market and some of the new shops then headed to Brickstreet Cafe, where the shower was being held. 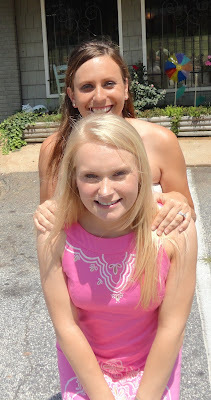 My grandbig in my sorority, Ashley, was the lovely hostess. Brickstreet was one of my favorite college restaurants. We enjoyed baked brie as an appetizer then fresh fruit, chicken salad, and Brickstreet's famous "love muffins" along with many glasses of champagne. This was such a wonderful opportunity to catch up with all of my best friends from college, many of who I haven't seen in person since our engagement party last July. Of course, there was cake and delicious peanut butter pie to finish with! This is my favorite cake from Brickstreet. 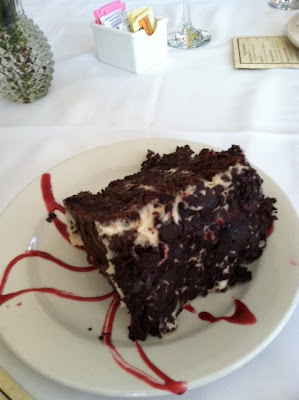 Chocolate cake with black walnut cream cheese icing, raspberry sauce, and shaved German chocolate. To.die.for! 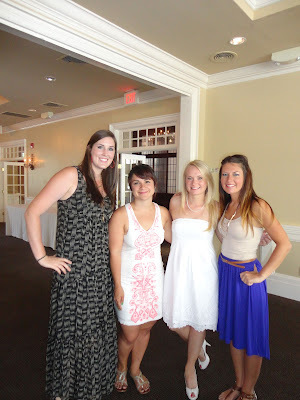 Some of the girls and me! 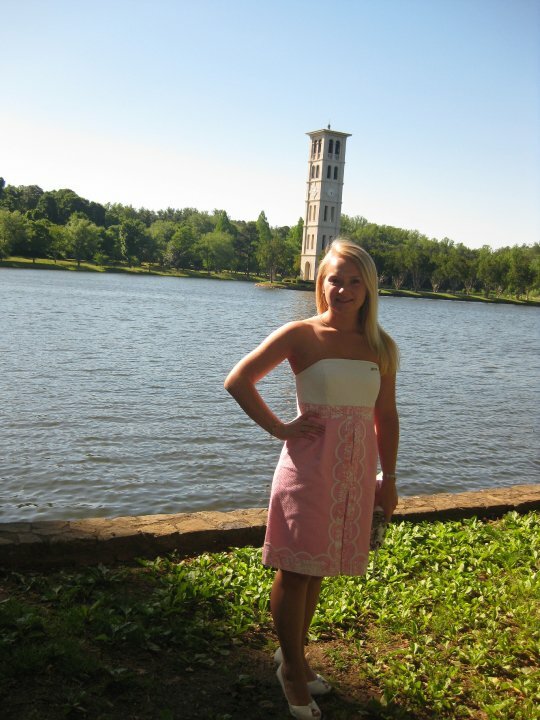 Of course, I wore Lilly. 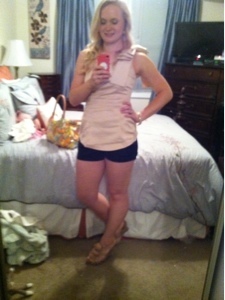 This is the Jacqueline dress from last summer. After the shower, we changed clothes and then headed to our favorite college bar to split a slushy for "old times sake" and to check out the new rooftop bar, where we relaxed outside with a Blue Moon. 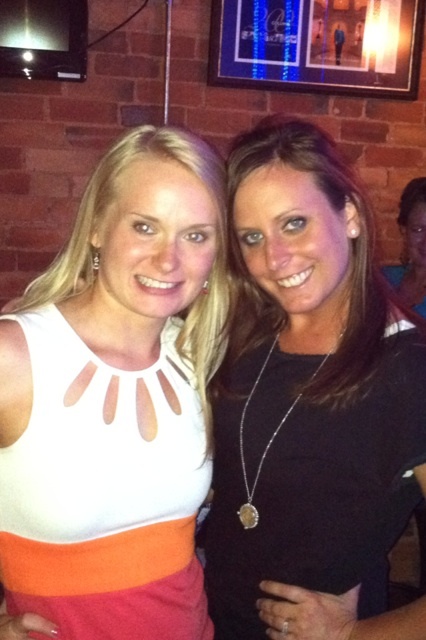 Saturday night, my cousin Anna and I met up with Ashley for a girl night out. We stopped by Falls Park on the way to dinner. It is one of the prettiest spots in Greenville. 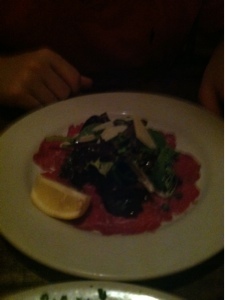 We ate at Pomegranite, a Persian restaurant and it was delicious! My parents drove to Greenville on Sunday so I could spend some time with them both and see my dad for Father's Day. 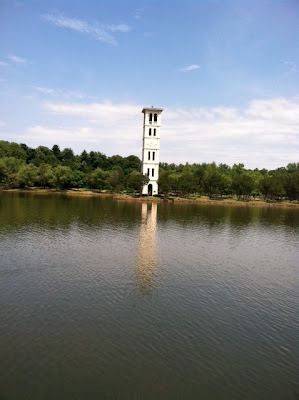 We went to Furman, where I went to college, in the morning and walked around the lake then ate lunch at my favorite Thai restaurant from college. My mom and I ran some wedding crafting errands and then it was time to go back to the airport. It was such a quick weekend but I had so much fun. The shower was wonderful and it made me so happy to spend some time with my friends and see my family. That is definitely the hardest part of being away. Thank you so much, Ashley! Happy Thursday lovelies! You know what Thursday means?? Its almost Friday! Yay!! This week has creeped by because I've been so giddy and excited for tomorrow because I'm flying to South Carolina and will get to see some of my friends and sorority sisters and then my parents on Sunday. 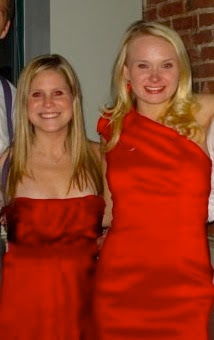 My grandbig in my sorority is hosting a bridal shower for me and some of my besties from college will be there. My parents are driving down Sunday so we can do lunch and spend the afternoon together before I fly home. I'm so glad I'll get to spend Father's Day with my dad. We are so close to the end of the school year!! These last seven school days are going to fly by!!! I can't believe how fast this year has gone and how much my kids have grown. Sometimes I'm amazed at how much difference a year can make. I'm super proud of them! On the first day of my summer vacation, I think I'm going to sleep until noon. I never sleep in, even on weekends, so that would be such a treat. 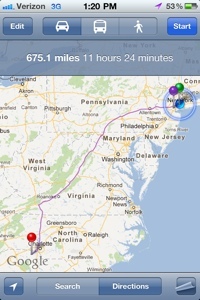 Especially since on the second day of summer vacation, Riley and I are driving 14 hours. Tonight I'm hosting a girls' night at my apartment. I really love these opportunities to get together with friends for dinner, wine, and girl talk. Tonight's girls' night might be a throwback to middle school with nail painting if I can't squeeze in a mani/pedi appointment after work. Can you believe I haven't painted my nails in ten days? They are a hot mess. I went to Ulta to pick out a new Essie color and would you believe it - they were sold out of Essie! The whole display was sold out, aside from a couple colors I wasn't at all interested in. I have my eye on Splash of Grenadine. Has anyone tried it? 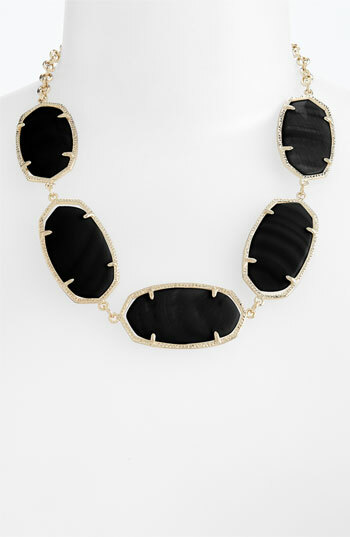 I'm in the market for a black statement necklace, similar to the lovely Kendra Scott one pictured below. I love this one but am not paying over a hundred dollars for fashion jewelry. If anyone runs across a cute black statement necklace at any online boutiques, pretty please shoot the link my way! It rained most of the day Wednesday here. 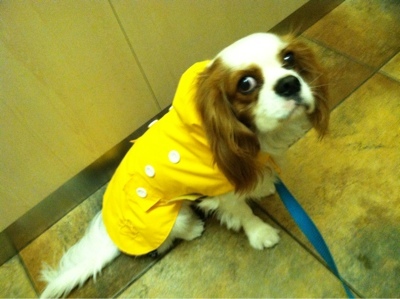 When I take Riley out in the rain we both get bundled up in our rain jackets and out we go. Riley doesn't wear clothes except for special occasions (like Christmas and Clemson football games) but he does wear jackets when its super cold or raining. They are actually helpful because we don't come back inside with a soaking wet dog. Happy Bridal Talk Tuesday girls! Take a scroll down to the ticker at the bottom of the page and you'll see that there are less than two months until the wedding!!! I am so excited! Last week, I shared my something old, something new. This week, I'd like to share my something borrowed and something blue. 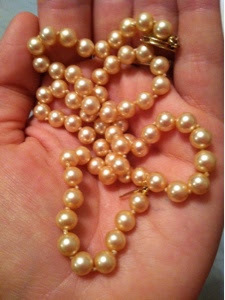 These pearls belong to my mother. She is lending them to me for my wedding day to be my something borrowed. I love them so much because they are a really beautiful ivory color but also because they are very special to her. She has let me borrow them for big occasions like pageant interviews when I was young and didn't have my own pair. 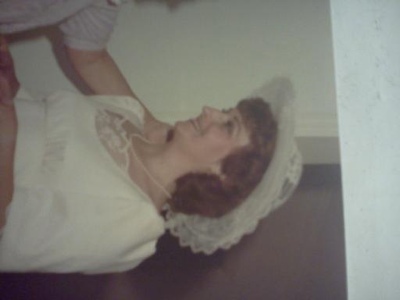 What makes them the most special though, is that my mom wore them when she and my dad got married. Last night, I asked her to take a picture of her bridal portrait and text it to me so I could share it with you. Isn't she gorgeous?? 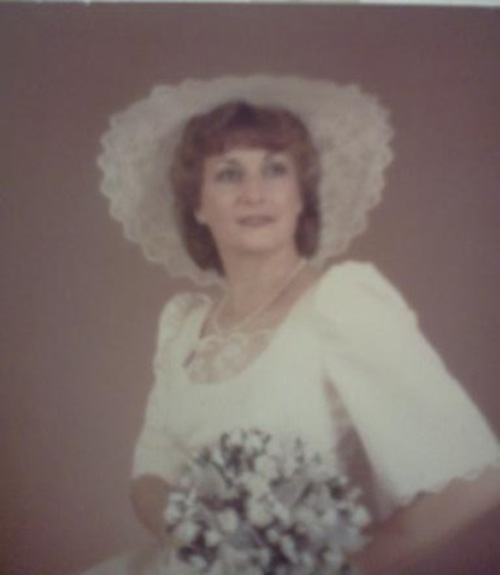 My parents were married in a rose garden. 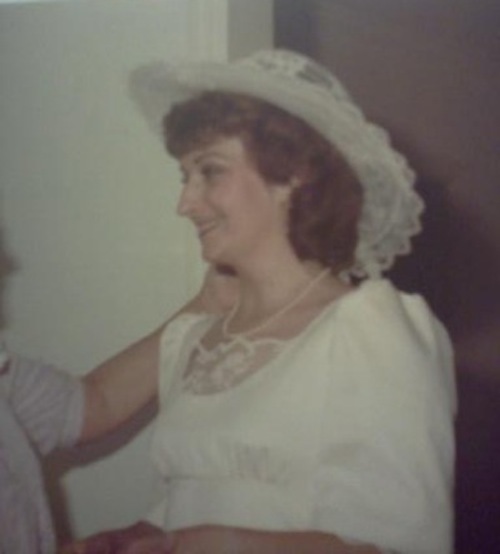 My mom is a wonderful seamstress and she made her dress. It is so perfectly her. Classic yet simple. Isn't it so pretty? I used to love when she would let me play dress up and try it on as a little girl. I'm glad I can wear a piece of what she wore on her wedding day on my own. I tried on the pearls with my dress at my fitting this weekend and they looked fabulous! Kappa Kappa Gamma's pin is a gold key with sapphires and either diamonds or pearls. It is pinned over your heart and I've worn it to so many important occasions, like my college graduation for example. 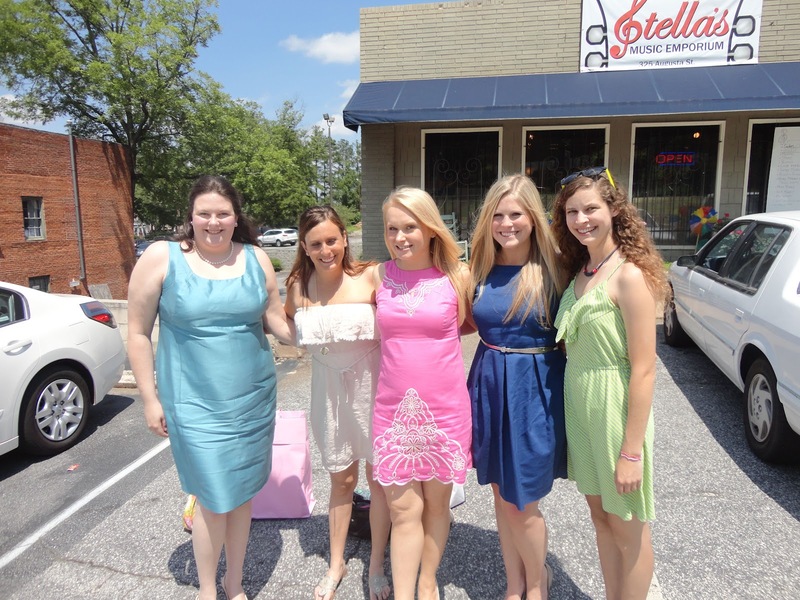 Many of my closest friends I met through Kappa, including three of my bridesmaids. 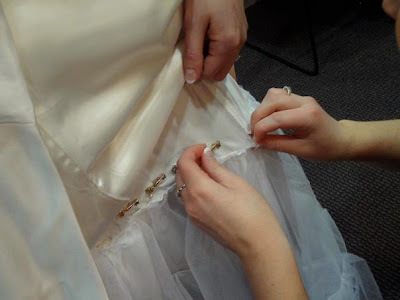 A special Kappa tradition is that all Kappa bridesmaids and close friends pin their keys underneath the bride's dress before the ceremony so that they can be with her as she walks down the aisle. I think this is so sweet and can't wait to do this with my bridesmaids' keys. I'll have my key over my heart and their keys underneath the dress. Sorority rituals like this make me a little teary eyed. I just love them. 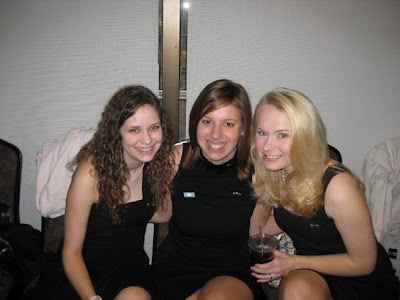 I snagged this picture from one of my sorority sister's Facebook pages. Love, love, love. Join in on the Bridal Talk by linking up a wedding related post below! Working with Kindergarten, I usually wear a nice t-shirt and either dress pants that are several years old or an inexpensive pair from Target. Unfortunately a lot of my nicer teaching clothes that I wore to school last year have gotten ruined by my class this year. Thursday, I decided to risk it and wear one of my favorite work tops. I love it because its so bright and cheerful and also lightweight. Which is awesome since our school doesn't have air conditioning. 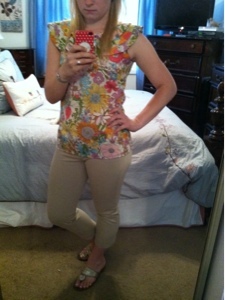 The crops are the Sloan crop by Banana Republic. I love them and they are super great quality - I'm definitely going to be ordering the black pair as well. 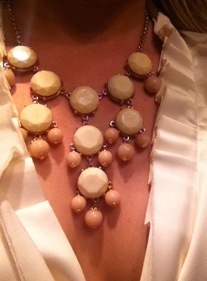 With my new bubble statement necklace from a local boutique. 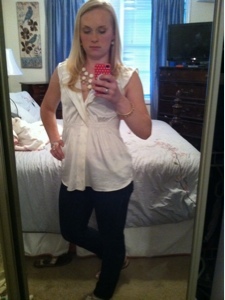 I also have the J.Crew factory bubble necklace and I am loving this trend this year. 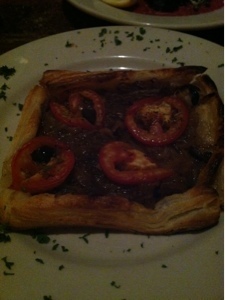 We started with the caramelized onion tart, which I highly recommend, and the beef carpaccio. Yum yum! 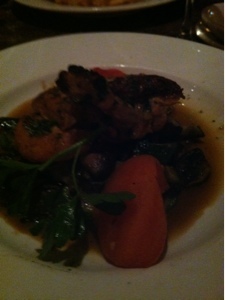 I ordered the roasted chicken, which is served over sauteed squash, zucchini, mushrooms, and tomatoes. The chicken is so tender and there is definitely a white wine flavor. I really want to experiment with making this dish. It is to.die.for! 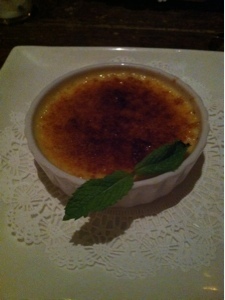 We ended with creme brulee! Love, love, love! With full bellies, we headed back to Hoboken to meet up with some friends for a couple drinks. Saturday morning I worked out and cleaned the apartment while Corey went golfing with his dad. Then, I headed to Kleinfeld for my second fitting and got to try my dress on now that it is the appropriate size. Oh my goodness, I wish I could share the pictures. I love it even more now that it fits properly. I am so, so, so excited to wear it for my bridals in a couple weeks and then for the big day, which is just two months from today!!!! 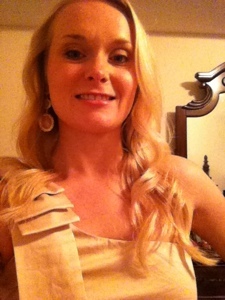 I tried my new curling iron that my hair and makeup artist for the wedding found for me wholesale. Similar here. I'm so impressed because the curls last forever!